Many find the removal of body hair a challenge and an unwanted daily struggle, but long-term hair removal with energy-assisted devices can offer relief from excess hair. During a course of innovative hair removal treatments at The ME Clinic, spread over weeks or months, clients can be fuzz-free in record time. Previously the high costs, extensive hair removal treatment times, and limited success rates lead to clients becoming disheartened, but laser hair reduction technology has improved ten fold in recent years, and at The ME Clinic we offer the very solutions to reduce body hair. Energy-assisted hair reduction using lasers has been safely used for over 20 years. During hair removal treatments a laser beam is focused at the base of the target structure (in this case the hair follicle) before the energy is delivered to the root. Suitable for use on the face or as a solution to reduce body hair, laser hair reduction is a safe, effective, and clinically-proven method that works for all skin types, even sensitive. The principle upon which light based hair removal treatments work, the Selective Heating through the Absorption of Light, is known as: PHOTO–THERMO–LYSIS (Light – Heat – Destroy). This laser hair reduction treatment allows the targeting of specific structures, making it a selective process. An ideal way to reduce body hair in areas such as the legs, under arms and back, during hair removal treatments, temperatures of around 700C are reached to ensure the denaturing of proteins; in this instance destroying the hair's capability to regrow. Results are long lasting, unlike shaving, waxing or hair removal creams, and it’s an investment for your long term self esteem and body confidence. A common question is whether a customer should choose laser hair reduction or IPL hair removal treatments. Both have been commercially available since the mid 1990's and both involve producing light energy that is then absorbed and converted into heat to cause denaturing of the target. Laser hair reduction is more effective and achieves much better results than IPL hair removal treatments. Lasers are more precise in producing a single wavelength of light, which is then concentrated to a specific target. On the other hand, IPL produces a broad spectrum of light that cannot be focused at one specific target making it less effective. With IPL the range of wavelengths produced means the energy is dispersed between them with only a few wavelengths reaching the intended target. With laser hair reduction all the energy is targeted in one wavelength at the target ensuring better hair removal treatments. As laser is directed purely at the hair follicle there is much less risk of skin damage when choosing to reduce body hair, and allows for all skin types to be treated. As IPL is multi-directional only lighter skin types can be treated, making it much less user friendly. Why do I need a course of laser hair removal treatment? As with all cells the hair follicle has a growth cycle. In order for the hair to be permanently destroyed it has to be treated in its growing stage. As the hair root cannot be seen below the skin its state of growth cannot be identified at the time of hair removal treatment. At any one time only 30% of the body's hair will be in the growth stage, therefore a course of laser hair reduction treatment is needed to achieve a good result. No, laser hair removal treatments do not 'hurt' but there will be a feeling of slight heating in the area being treated, sometimes described as a 'flick' of heat. Some areas can be more sensitive than others during hair removal treatments. A chiller is used for all treatments, which reduces the heat sensation ensuring minimal discomfort. Some women may experience exaggerated skin sensitivity when undergoing treatment to reduce body hair prior to and during their monthly period. All laser hair removal treatments to reduce body hair are bespoke and therefore prices for treatment vary. Please contact us to find out more. 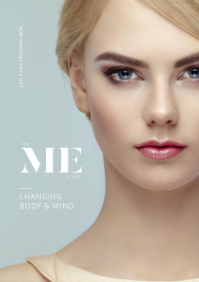 Why chose The ME Clinic? Experience, expertise and the very best equipment. With over 30 combined years experience with laser treatments and in the advanced aesthetics field clients can be reassured that they are in the very best hands. What happens after a laser hair removal treatment? How should I prepare for laser hair reduction treatment?